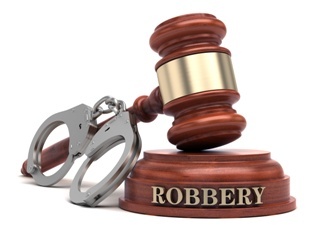 In North Carolina, you are facing serious felony charges if you have been arrested for robbery. Your sentence could include imprisonment, and you would have a permanent criminal record with long-term consequences for the rest of your life. Even if you know that you committed the crime, you could have strong defenses that may result in the charges being dismissed or reduced to a much less serious offense. However, to fight the harsh ramifications of being found guilty, you will need the assistance of an experienced criminal defense attorney. Robbery involves the physical, illegal taking, or attempted taking of another person’s property through the use of or threat of force. At least one victim must be present at the time of the robbery for the threat of or use of force to be present. This is different from theft offenses where no person needs to be present for the crime to be committed. The victim does not need to be the owner of the property; he merely needs to be in possession of it. The crime can occur on the street or at a residence, business, bank, or other location as long as one person is present. Robbery is a Class G felony. The taking or attempted taking of property was from another person or from a residence, business, bank, or other location where another person was present at any time of the day and night. The robbery was committed through the use of a firearm or other deadly weapon where the suspect displayed, used, or threatened force and where the life of a person was threatened or endangered. Robbery committed with a dangerous weapon is a Class D felony. A person aiding and abetting in the commission of an armed robbery can also be charged with a Class D felony. Actions, such as acting as a lookout or encouraging a person to commit armed robbery, could constitute aiding and abetting. Robbery. You may be sentenced to prison for up to 47 months. Armed robbery. If you are convicted of robbery with a dangerous weapon, you could be imprisoned for a maximum of 204 months. Habitual offender enhanced punishment. You could be subject to the Armed Habitual Felon sentencing if you were convicted of or pled guilty to another firearm-related offense. This could result in you facing an additional Class C felony charge with a minimum mandatory prison sentence of 120 months. Have you been charged with robbery or robbery with a dangerous weapon? You need the assistance of an experienced criminal defense attorney to begin building a strong defense to the charges you face. Your liberty is at stake, and you need to do everything you can to fight the charges—even if you know that you are guilty. You could have constitutional, procedural, or substantive defenses that could result in the charges against you dismissed or reduced to a less serious offense that will not result in you being sentenced to prison. Call our office or fill out our online form today to schedule a free, no-obligation consultation with a member of our legal team.